Chasing the American dream: hard work, raise what you eat and pass it on to the next generation. 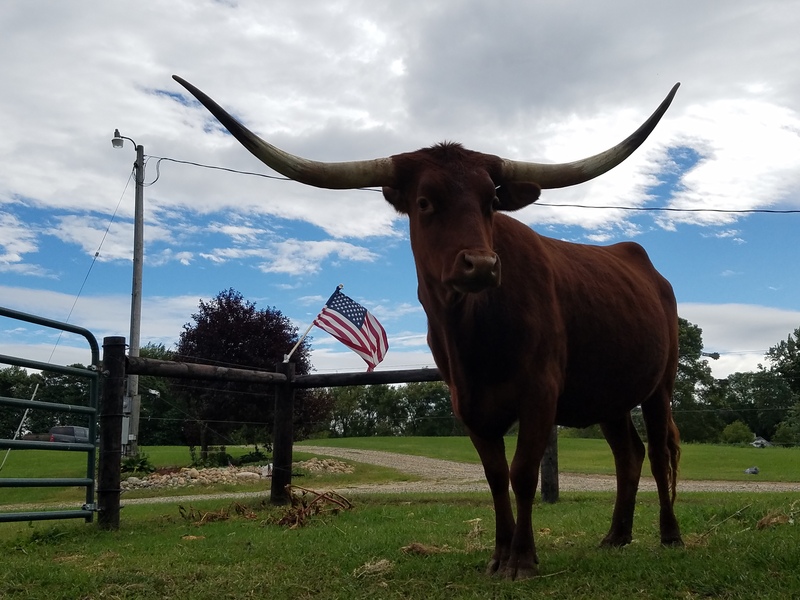 We purchased our first longhorn in 2010 and by the fall of 2011 we had purchased five more. We were hooked. Our family thoroughly enjoys the uniqueness of the horns and the various colors in this breed. We are striving to breed for the total animal; solid body, horn, color, and good disposition. With help from not only local breeders, but other breeders we have been privileged to meet, we are learning a lot about this magnificent breed and feel that we have become part of a group of encouraging individuals that is willing to help where ever needed. Thank you for checking out our web sight. Feel free to stop by anytime for a visit.